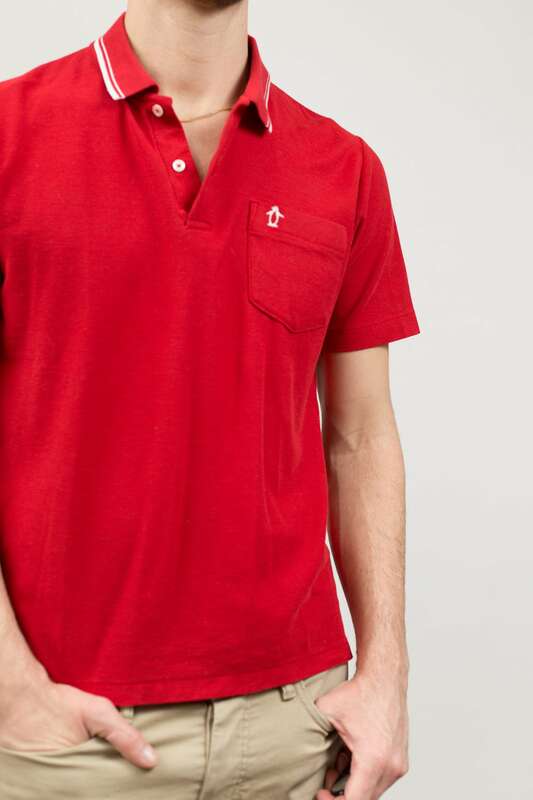 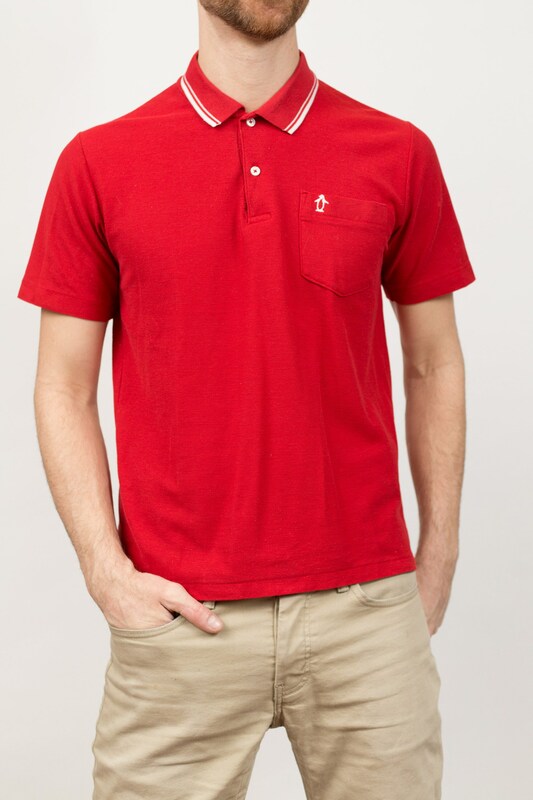 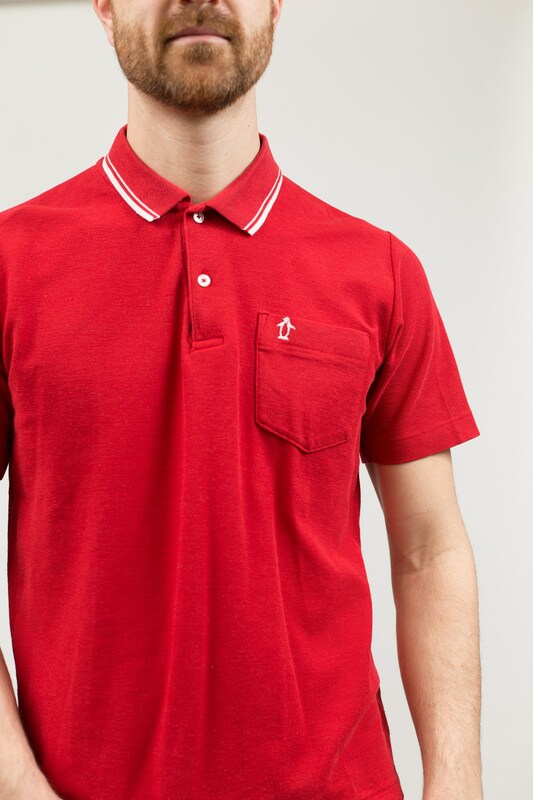 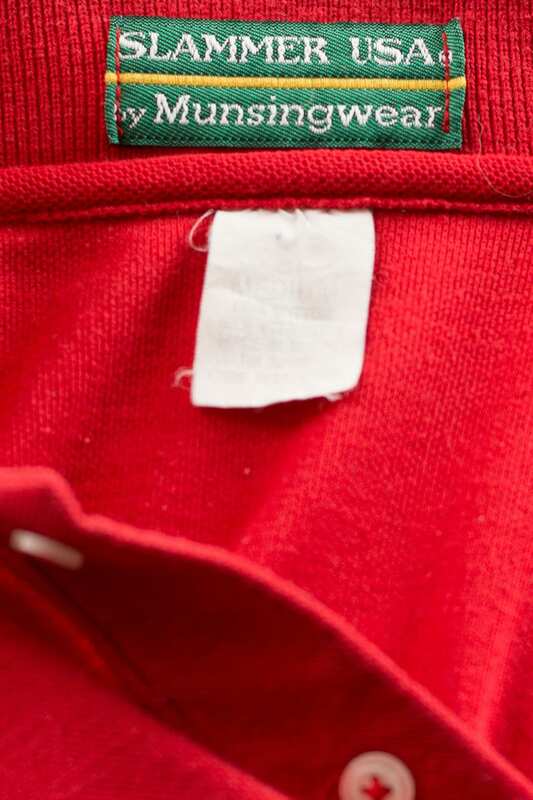 This is a classic vintage red golf shirt with a penguin on the left chest pocket and white stripes around the collar. 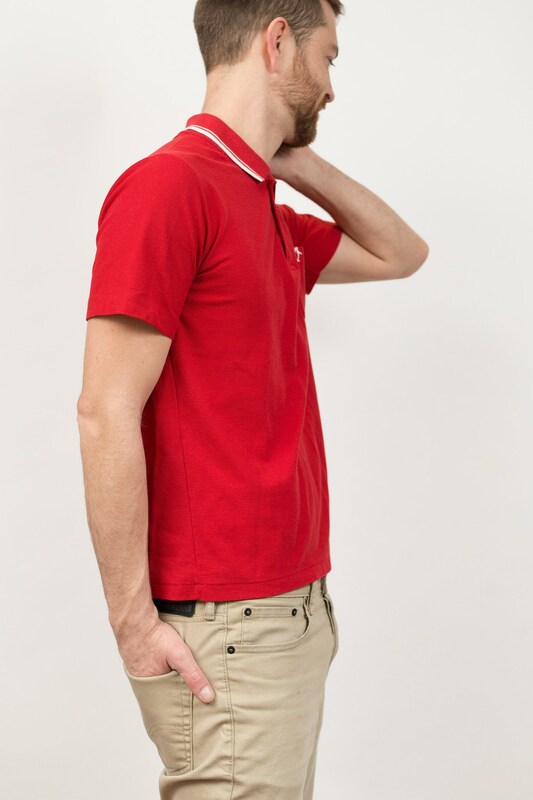 Brand: Slammer USA by Munsingwear. 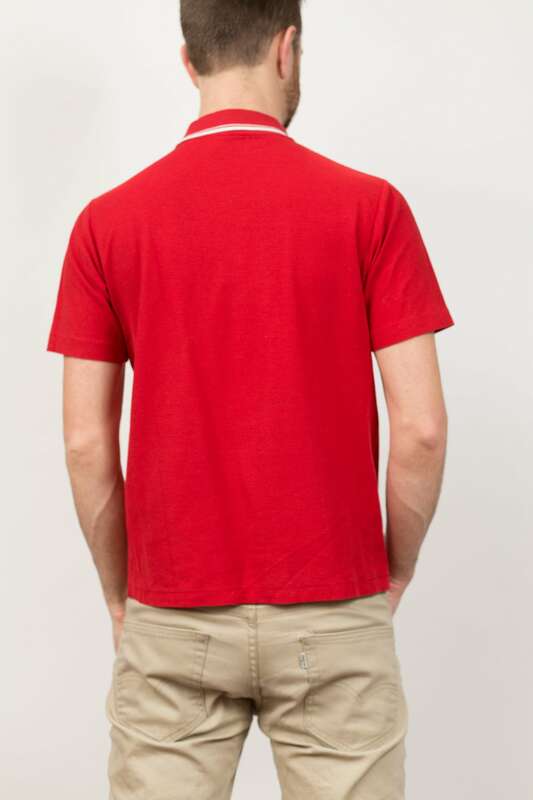 Length from shoulder to bottom of garment: 24.5"